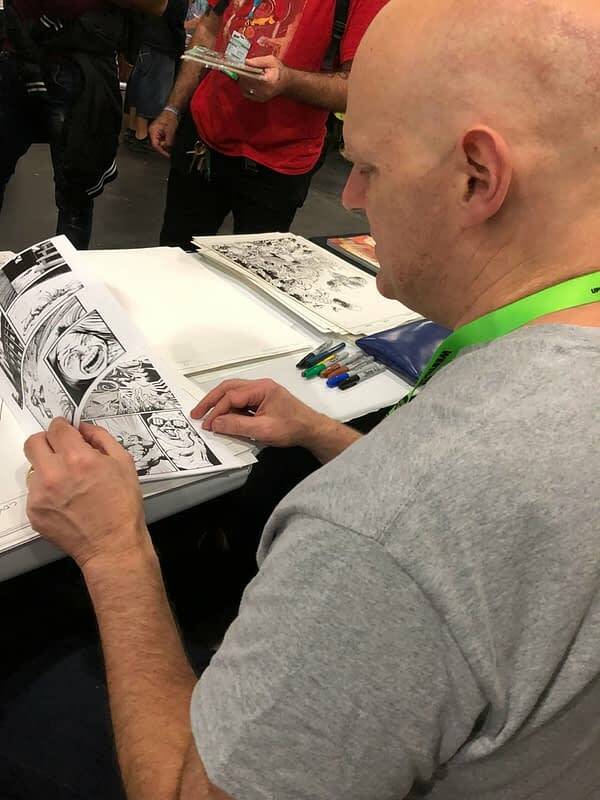 Over New York Comic Con, Bleeding Cool reported on Erik Larsen‘s statement that he had a piece of art stolen at New York Comic Con… and a most brazen theft it was too. So–the scam went down like this. A man requested a commission and paid for it. 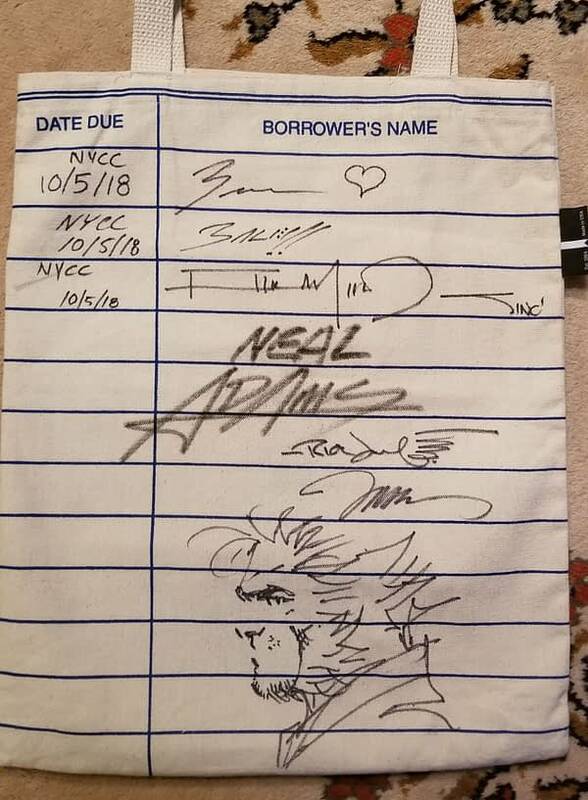 I drew it and afterward he asks if I could sign a page he bought earlier (which I assumed would be a page from another book bought from an inker or art dealer). He then produced the cover from Savage Dragon #88, which had been in my stack of original art throughout the show. This page is notable as it was the only Savage Dragon cover I had on hand. I don’t break up Savage Dragon issues typically and it wasn’t a page that could have slipped my mind. The thief argued with me, insisting he’d bought it and then quickly pulled the page and lost himself in the crowd. He was a somewhat swarthy male with short hair and a thick full beard. He was not an individual I had seen before. Thing was–it was a very odd exchange. It made me think maybe he’d bought it from a third party because of his protests–but the timing is pretty suspect as somebody would have had to have stolen it from me and immediately flipped it. Chris Eliopoulos took this picture Sunday at noon of me crushing the dreams of some young hopeful artist. On top of the pile near my chin you can see the original art to the cover of Savage Dragon #88. But he wasn’t the only one to lose a very collectable comic-related item. Comics collector Caitlin Reynolds writes. I am personal friends with many of these people and I know I can reproduce this, but the fact remains that it was taken and with all the thefts from this weekend it needs to be reported. 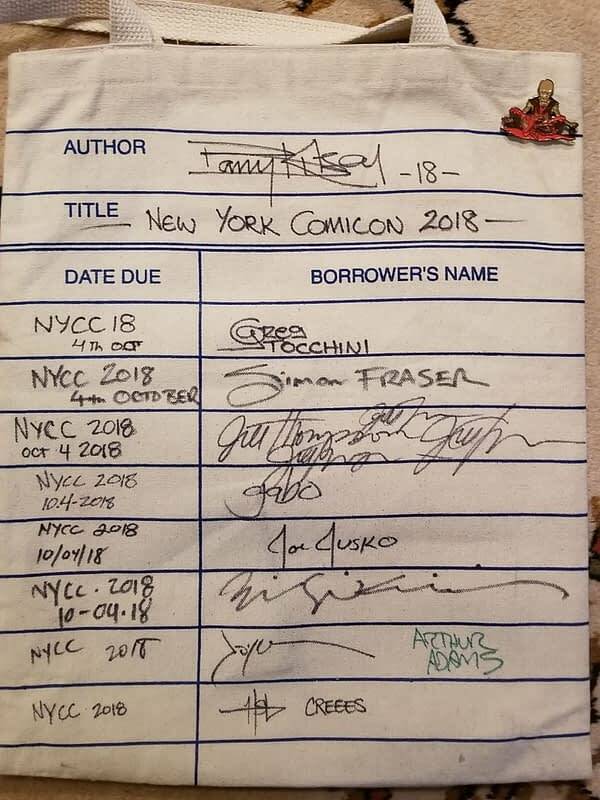 I informed NYCC and checked with Lost & Found several times.